What question could you ask that would contribute to a new reality? I’ve come to appreciate the power of questions. 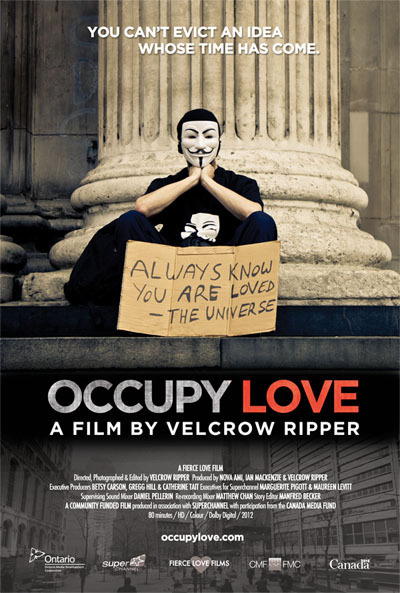 This was brought home yet again when I watched Velcrow Ripper’s newest film Occupy Love. Documenting global movements – including Arab Spring, Occupy, climate justice – Velcrow asked: how could this crisis become a love story? The result is a beautiful and brilliant exposé of the love that is fueling the creation of a new reality. It is a love story. Producer Ian MacKenzie discovered that “love is a form of active interdependence. Love is a verb it’s something you actually have to express. And it comes out in your behaviours, how you build a community”. Many leaders have spoken of the power of love. Like Martin Luther King who said: “At the center of non-violence stands the principle of love”. Franklin Roosevelt recognized that “the value of love will always be stronger than the value of hate”. We need to question this insane reality of judgment, hate and violence. It is time to step into greater consciousness and choose to co-create a different reality. 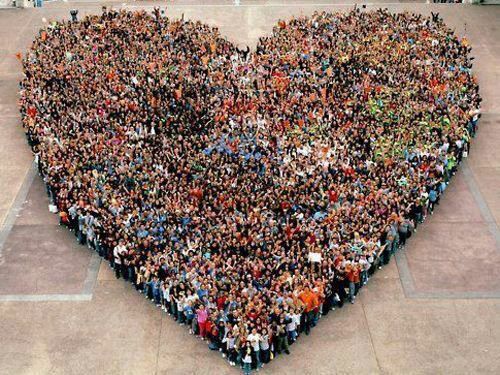 What would happen if we truly let loose our full caring and love for one another, including strangers? I think Charles Eisenstein, interviewed in Velcrow’s documentary, is correct: “We sense that ‘normal’ isn’t coming back, that we are being born into a new normal”. So what could be our new normal? I agree with Ian: “together we can figure this out… if we can figure out how to engage together in a community and to be inclusive of a multiplicity of perspectives, we can then apply this process towards any of the problems that we’re facing…they’re all connected”. Circle processes are a huge contribution – they invite the wisdom of each participant, give space for diversity, build community and transform our problems. And it doesn’t matter what problem we bring to Circle. Ian’s right, they are all connected. We just need to start somewhere. Let’s heed the invitation of Gary Douglas and Access Consciousness: Instead of fighting against or defending reality, it’s far more potent to ask a question like what else is possible and then generate and create something we desire and that works for us. All of us. The Kingdom of We. And the key is ironically simple, although not necessarily always easy – we just need to be our full, authentic self. Who we truly be. Dain Heer wrote a great book: “Being You, Changing the World”. Are you willing to ask questions, be you and change the world?